Guitar Hero for those who actually want to learn to wield that axe like Hendrix, Gtar boasts a solid basswood body that's as tough as the real thing. 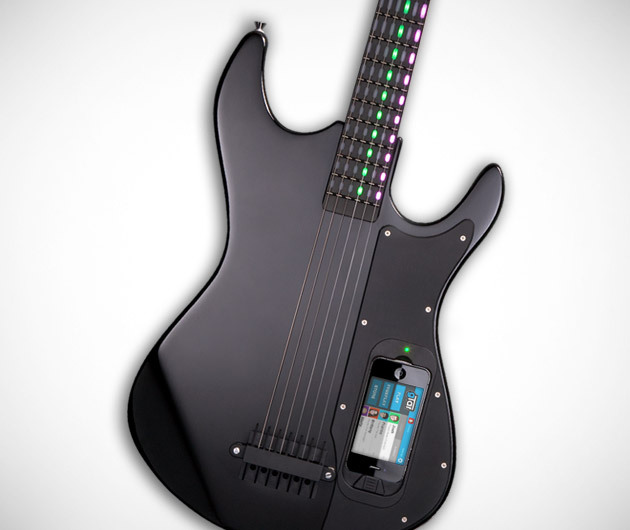 A fully digital MIDI instrument compatible with smartphones and PCs alike, simply download the app, plug in, watch that fret-broad light up and get your fingers moving in time. You'll be playing "Foxy Lady" in no time.